Megan McKean's 'Hello...!' series of children's books are available from all good bookstores around Australia. The books are available online anytime in Australia from Booktopia, and everywhere else worldwide from The Book Depository. Join a bunch of cheeky galahs in the latest look-and-find adventure in the Hello...! series. We're taking a trip around Australia to discover more about the animals, birds and plants that live here. Along the way, you'll meet some friendly quokkas, take a ferry to Kangaroo Island, marvel at the Big Things and learn about some places that are sacred to the traditional owners of the land. From sunny Queensland to the ski fields of Victoria, there's so much to see and do around Australia. This time we’re off the to city voted most liveable in the world, Melbourne. Hello, Melbourne! is a celebration of this great Australian city. With its colourful laneways and bustling shopping arcades, the bookish wonders of the State Library and the sights and smells of world famous Lygon Street, there is so much to see in this town. With the help of your tour guides – a charm of magpies – you’ll feel like a true Melburnian. Go on a look and find adventure, with the help of some friendly, but naughty local seagulls, and discover 15 iconic Sydney locations from Taronga Zoo to Bondi Beach. Each page of Hello, Sydney! 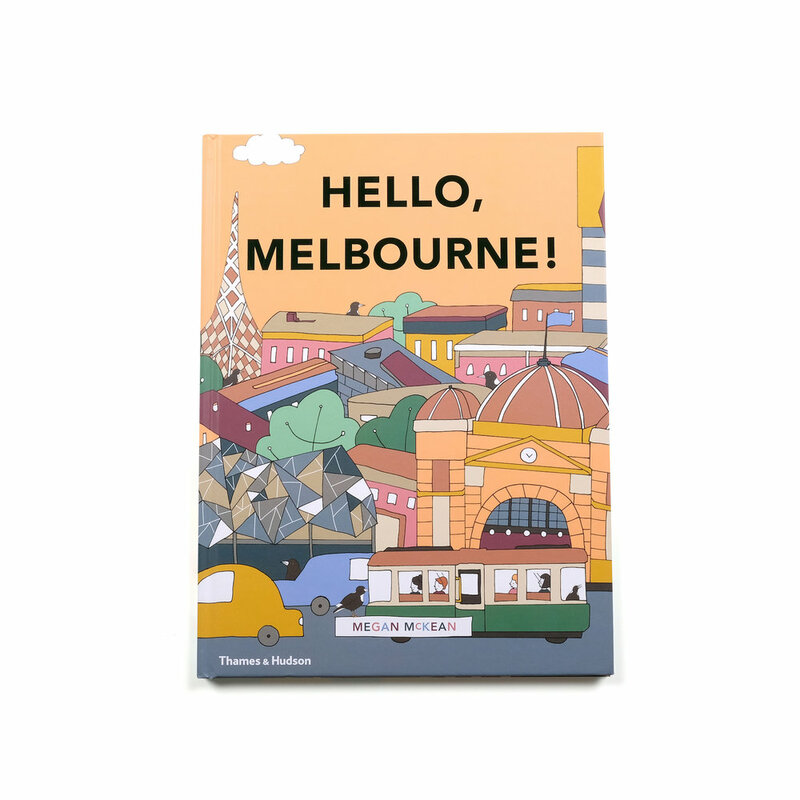 features things to spot from native animals to funny quirks of the city as well as fun facts kids and parents will both enjoy. Plus you have to find all six of the cheeky seagulls on every spread.